I can’t decide whether Thom Yorke is a petulant child, cynical operator, or a hero to artists. Maybe he’s all three. And then a few days later, Yorke put his weight behind music platform soundhalo, which will sell video content (in near real-time) from Atoms for Peace concerts occurring July 25 and 26 at London’s Roundhouse. And when Yorke turned around and backed soundhalo, Tim Worstall of Forbes complained that Yorke had turned his anti-Spotify rant into nothing more than a PR stunt to promote his own preferred music distribution method, soundhalo. Neither Atoms for Peace nor soundhalo had been on my radar screen until now. Make no mistake: the superstar band (which also includes musicians such as Flea of the Red Hot Chili Peppers) and the fledgling service have gained a spike in awareness within just a few days. You just cannot buy this kind of attention, and all because the most prominent member of superstar band Radiohead went on a Twitter rant. Would anyone have given a lesser-known artist like Sam Duckworth the time of day to tell his story had Thom Yorke not spoken out? Did you even know who Sam Duckworth was or that his 2011 release The Mannequin was well received by allmusic.com? I sure didn’t until this week. The ongoing conversation about Spotify and streaming services is good. It’s healthy. Artists need to be heard. So do all the stakeholders in the distribution of music — including you and me, the listeners. 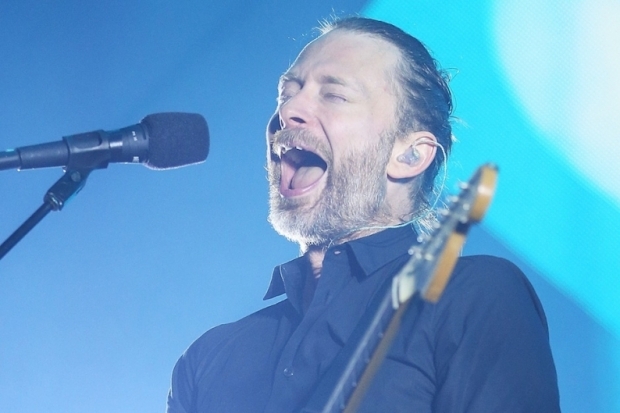 So let us render unto Thom Yorke the publicity and some scorn that he has earned — and be glad that he’s cast a spotlight on the artists who are trying to become the next Thom Yorke. This entry was posted in Music and tagged Atoms for Peace, Billboard, Black Keys, Bob Lefsetz, Forbes, Glenn Peoples, Hypebot, Nigel Godrich, Radiohead, Sam Duckworth, soundhalo, Spotify, Thom Yorke, Tim Worstall, Twitter. Bookmark the permalink.